The Fraunhofer Institute for Laser Technology ILT will present five developments in sheet metal processing at this year’s show. 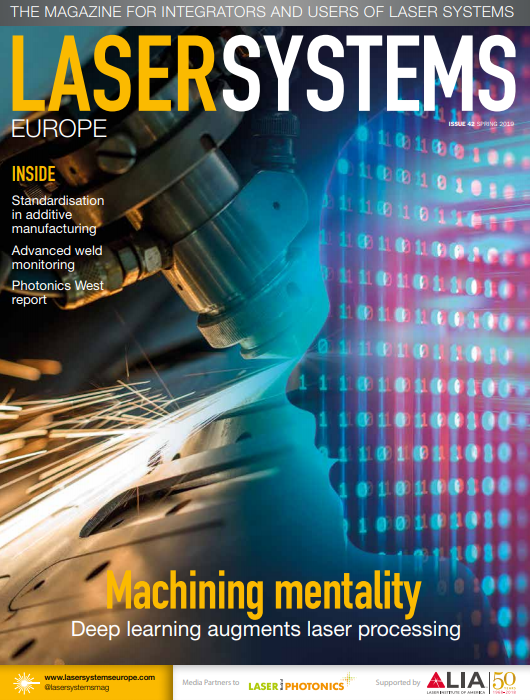 The first is a robot and a multifunctional laser processing head that will be designed as part of the MultiPROmobil project to be changeable between cutting, welding and additive manufacturing processes, as needed, without needing to switch the optics and nozzles. It will be supported by a digital twin as well as intelligent design and simulation software. The robot is expected to increase the flexibility and scalability of process chains for the production of sheet metal assemblies. It is also anticipated to reduce commissioning time by 30 per cent, and unit costs and resource consumption by at least 20 per cent. The second development is a fast laser cutting process for differentiated rolled metal strips with partially different properties. The process will enable tool-free production of variable cutting contours while maximising material savings. Fraunhofer ILT will show a video of the process at the event, as well as the first shaped blanks that have been made using it. 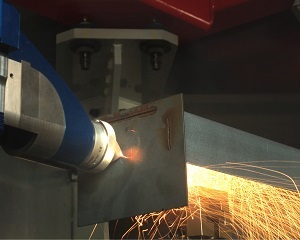 The third highlight, carried out within the scope of FAAM project – short for further development, joining technology validation and technical design of welded joints with martensitic chromium steels – is a laser-designed bumper module that demonstrates how different high- and ultra-high-strength materials can be laser-welded in a hybrid construction. The ILT will also be showing how, by adapting a beam profile with the aid of a freeform mirror, areas and zones can be selectively and locally heat-treated in order to generate defined strength profiles. The Aachen scientists are also working with significantly higher feed rates in order to make laser heat treatment reliable, cost-effective and have short cycle times. The fifth exhibit is a roof bow created as part of the German Federal Ministry of Education and Research (BMBF) project HyBriLight. The component has a hybrid structure made up of fibre-reinforced plastic and metal. Rather than using the bonding and riveting processes previously used, the institute has instead used a laser-based joining process that connects plastic and metal with positive locking and adhesion.